Liverpool is a fascinating city with a long and, at times, chequered history. But there is no denying the massive contribution it has made to the Arts - in music (not just The Beatles! ), comedy, painting, poetry, plays, novels, and it even has its own film studios. 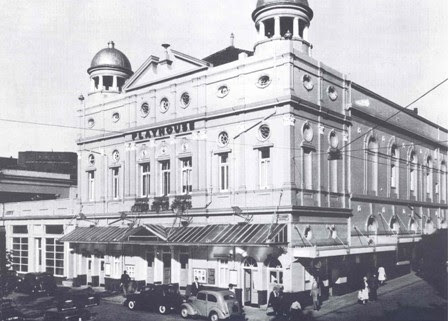 It also boasts a rich theatrical tradition and it would seem that at least some of those who have visited or worked behind the scenes at the Empire, Royal Court, Playhouse and others, decided not to leave. Even after their mortal coil had long been thrown off. 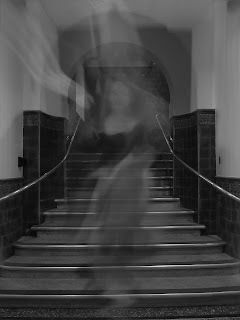 The Empire is so haunted, it was featured in that stalwart of this blog - Most Haunted. A sad little girl of around ten years old, in Victorian dress, has been often sighted late at night in the Stalls Bar area. Sometimes she is crying and, on a number of occasions, she has been seen being dragged away by a man with dark eyes. When anyone has tried to intervene, the pair have just vanished before their eyes. 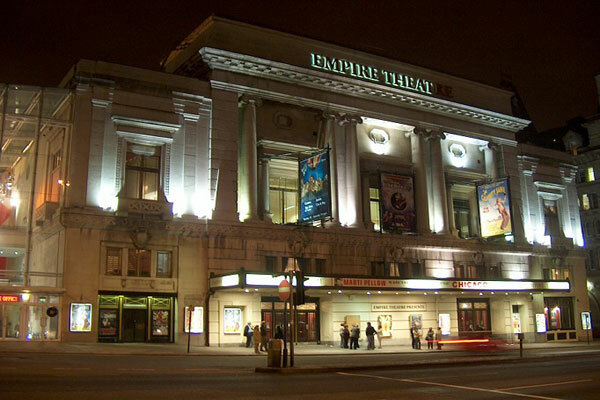 The Empire (opened in 1925) is built on the site of a previous theatre and the theory goes that the little girl fell from the circle to the stalls in that earlier building and was killed. Staying with the Empire for a moment, one of the dressing rooms was haunted by an apparition which would appear as a black shadow in the mirror opposite the doorway. The room itself had an unnaturally cold atmosphere and spooked so many people that it was eventually converted into a large wardrobe in 1998. 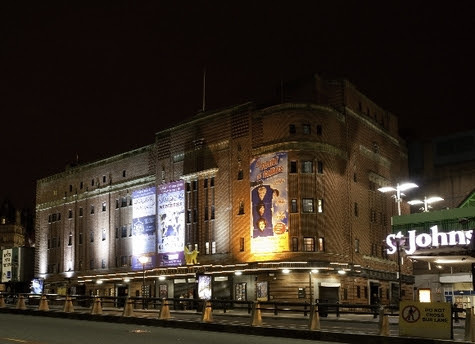 The famous Playhouse Theatre, which helped launch the careers of actors such as Michael Redgrave, Ian McKellen, Patrick Stewart and Anthony Hopkins, boasts a rich collection of ghostly visitors. In 1999, it underwent major refurbishment but electricians found their work hampered by mischievous spirits that would turn on taps and slam heavy doors that the workmen could barely open. They also reported a strange and scary presence in the basement. So spooked were they at one point that they downed tools and refused to carry on! Also, if you see a classy looking lady, wearing an old fashioned grey coat and hood, moving between the stalls coffee bar and seating area, you may just have witnessed the famous Grey Lady. She may not be alone either. This is a busy place for ghosts from the early 1900s. A man, in Edwardian frock coat and top hat, is often seen pacing up and down, possibly looking for his daughter, who ran away from her well-to-do home, to join a repertory company. Not to be outdone, the Royal Court has a resident ghost too. He is called Les and is a former caretaker. He's a bit clumsy though and is often blamed when things are mysteriously knocked over or broken. The poor man died on the roof when he was clearing out the grids one freezing cold day. He slipped and broke his leg. Unable to summon help, he died there, from exposure. Finally, we have the Everyman Theatre. A multi million pound refurbishment and renovation of this building has just been 'topped off' and it will be interesting to see if they have managed to exorcise the infamous 'Ghost that Smells of Wee'. I kid you not. This spirit leaves behind the distinctive pong of men's...well...urine actually. 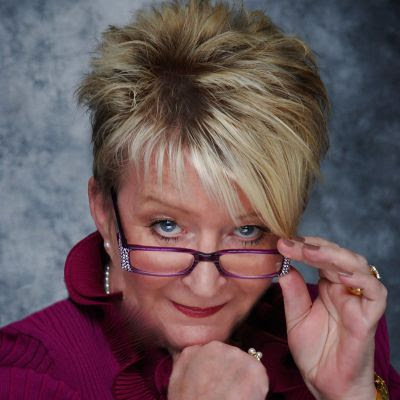 No matter what measures were taken to fumigate and deep clean the affected area, this ghost regularly left a terrible stench at the back of the auditorium and in the men's toilets. Staff reported seeing shadows in those toilets last thing at night and, after the electricity had been turned off for the night, the sound of hand driers switching on and off has been heard. Flashing lights have also been seen in there. Fabulous post Cat. An actor's life or rather death for them. Thanks, Shehanne. 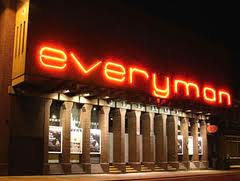 I can't wait to discover whether all the rebuilding at the Everyman has finally got rid of the Ghost that Smells of Wee'! Love this stuff! Great post! As usual a great read - I love your ghost posts. I never knew you could smell a ghost...ewww and of wee too! I'd get him exorcised.